Welcome to the finest design in well tanks available on today's market. We use a parabolic diaphragm (cone shaped) that eliminates abrasive rubbing of the diaphragm on the wall of the tank. Certified beyond automotive standards, the powder-coated exterior is the only one in the industry that provides the ultimate protection against corrosion. A premium polymer base assures 100 percent paint coverage on the tanks since the base is not attached to the tank during the paint process. 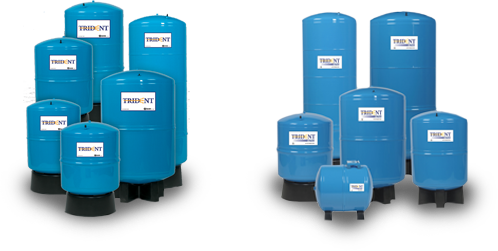 This, along with 30 years of experience in the industry, allows us to bring you the finest water well tanks made. © 2013 A.O. Smith Corporation. All rights reserved.